﻿ BP and BirdLife International still friends? Will/Shall BirdLife International still cooperate with BP for their yearly conservation award? The catastrophe in the Gulf of Mexico with the largest oil spill in history caused by an accident on a deep water oil rig run by BP, had me wondering about the future of the partnership between BirdLife International and BP. A nightly Google session resulted in this debate post. I am keen to see your comments. Look at the BP logo to the right. BP has a long track record of trying to be the “greenest” of all the oil companies. Was it only a play to the gallery? Having a green profile is relatively cheap, when it comes to the money spent compared to the gains. BP had 16.5 billon dollars net income last year after tax. Between 1990 and 2005 some 3 million dollars were spent on BP:s Conservation Program supporting projects of Flora and Fauna International, Conservation International, Wildlife Conservation Society and BirdLife International. That is a mere 0.02% of the last year’s profit. 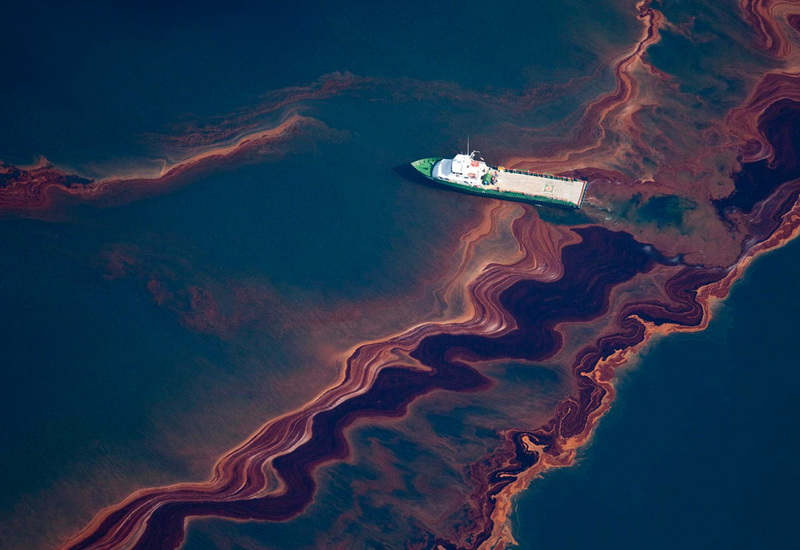 Sure, there have been some great projects funded by BP, but is it right that a company can buy a clean conscience for a trifle of their profits, and then be responsible for the worst oil disaster in history? 100 million dollars have been granted by BP to the four affected states of Alabama, Lousiana, Florida and Mississppi in relief to clean up the mess and to compensate businesses affected. Should that not tell BirdLife and the other organizations that BP has come off way too cheaply to be sustained by four major conservation organizations during 20 years as the GREEN Oil Company? And what will they do now? The current BP Conservation Program runs for another 5 years. “….. Of course, our activities do sometimes touch on very ecologically sensitive areas. Our stated goal is ‘no damage to the natural environment’. We’re determined to keep to that commitment and we will only work in areas where we’re absolutely convinced we can do so. Whether such sensitive areas are open to activity or not is a matter for Governments to make on the basis of the democratic will. Some areas no doubt will be put off limits and we must and will respect those decisions. And if areas are open, we will only work in them if we’re convinced, after taking the very best scientific advice, that we can fulfill our policy standards – including the protection of biodiversity. Why was the deep sea drilling not ruled out? Question is: Could the risk of deep sea drilling in the Gulf be foreseen? “… yet the risks posed by deep-sea operations – and specifically the potential impact of the failure of key systems – have long been understood. In 2000, the US Department of the Interior’s Minerals Management Service (MMS) published a report warning that there were several difficulties connected with deep-water well control, that experience in this area was “limited” and with many rigs having very high oil production rates, a blowout could be “a potential show-stopper” for deep-water drilling in general. That may yet prove to be the case. Four years later, a report prepared for the MMS by a team at Texas A&M University in College Station warned that while drilling technology had advanced, safety technology had stagnated – and highlighted blowout control as a particular concern. Then in 2008, a Society of Petroleum Engineers report warned that the hydraulic rams used in many BOPs to shut off oil flow may lack the capacity to cut through the high-strength drills used in deep-sea operations. The report’s authors included people employed by Transocean and BP – the companies that own and lease Deepwater Horizon respectively. To me it seems BP did not live up to their high moral standards stated by Sir John. Should large conservation organizations continue to accept support from BP, when their environmental goals can not be fulfilled? Should BirdLife International continue to help BP clean their name for peanuts, while extremely important wild-life refuges are threatened by the Deepwater Horizon oil-spill? What do you think?